Amidst government efforts to tighten security and tackle cybercrime, Edward Snowden re-enters civil discourse as Congress prepares to consider reauthorization of the US Patriot Act and FISA provisions. Here’s what you need to know, and how to monitor the legislation. Meanwhile, on Last Week Tonight, John Oliver took on the topic of government surveillance and interviewed Snowden. In August 2014, Russia extended Snowden’s asylum for three years. Oliver travelled to Moscow for the interview, and confirmed what we all want to know: Does Snowden miss Hot Pockets? (Warning: NSFW). In December 2014, director Laura Poitras won an Oscar for the Snowden documentary, CitizenFour. “The disclosures that Edward Snowden reveals don’t only expose a threat to our privacy but to our democracy itself,” Poitras said in her acceptance speech. 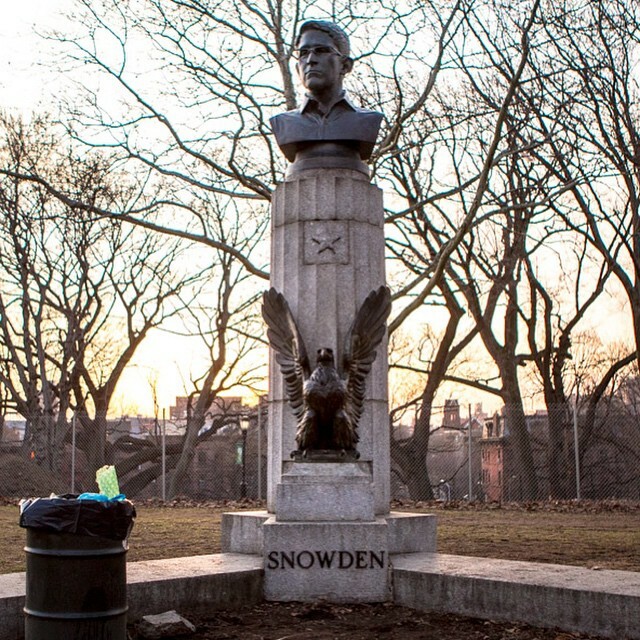 In February 2015, NPR’s Jeffrey Brown spoke with Poitras and journalist Glenn Greenwald about how those pivotal moments leading up to CitizenFour came to life on screen. The US Patriot Act and its FISA provisions sunset June 1, 2015. There is a chance that the 114th Congress will reauthorize some or all of the provisions. To monitor activity on the Patriot Act and related legislation, check out OpenCongress, an initiative of the Sunlight Foundation. OpenCongress allows anyone to follow legislation in Congress, from bill introduction to floor vote. Learn more about issues you care about and connect with others who share similar views. OpenCongress was founded by the Participatory Politics Foundation in 2007 and operated as a joint project with the Sunlight Foundation until May 2013. Now, under the sole direction of the Sunlight Foundation, OpenCongress is licensed under under the Creative Commons Attribution-Share Alike 3.0 US License, and wiki content is licensed under the GNU Free Documentation License(GFDL).